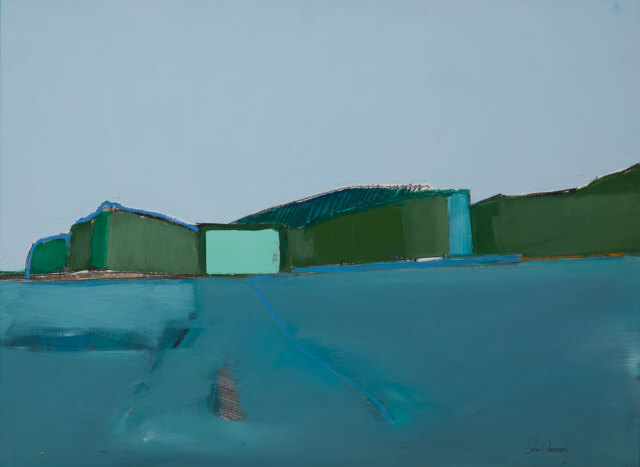 Sam Cartman is a Scottish landscape artist known for his bold paintings of wild Scotland, combined with echoes of human habitation and industry. Daring planes of colour, scratched and drawn marks define his carefully honed, dynamic and supremely balanced compositions. In the world of contemporary Scottish painting his work truly stands on its own. Sam Cartman was born in Shropshire and attended Art School in the north of England.